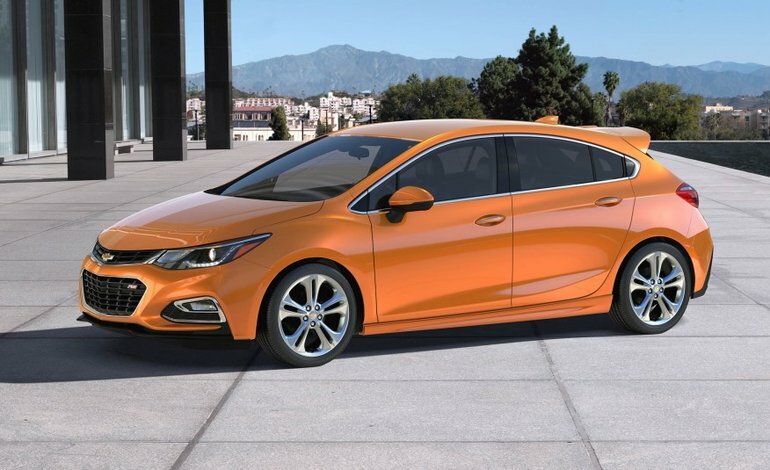 From a design perspective, the new Chevrolet Cruze Hatchback will certainly turn heads thanks to its Euro-inspired design featuring absolutely perfect proportions. Introduced at the 2016 North American International Auto Show in Detroit early this year, the 2017 Chevrolet Cruze Hatchback is not for sale yet, but it will soon find its way next to the all-new Chevrolet Cruze sedan at Bruce GM Middleton. Obviously, the main difference between the Chevrolet Cruze sedan and all-new 2017 Chevrolet Cruze Hatchback is interior space. Namely cargo space, as the 2017 Cruze will offer owners 524 liters of cargo space behind the rear seats when they are in place, and 1,136 liters of cargo space with all seats folded. Under the hood, the 2017 Chevrolet Cruze Hatchback gets a 1.4-liter turbocharged engine that provides ample power while also being quite fuel-efficient. Better yet, the new Chevrolet Cruze Hatchback gets the latest and greatest technologies such as Apple CarPlay, Android Auto, and a new GM-exclusive technology that allows parents to monitor how the car is being driven when they lend it to their children. Other safety features include lane keep assist, park assist, and emergency braking. From a design perspective, the new Chevrolet Cruze Hatchback will certainly turn heads thanks to its Euro-inspired design featuring absolutely perfect proportions. To learn more about the upcoming 2017 Chevrolet Cruze Hatchback, contact us today at Bruce GM Middleton!